If you’ve watched the show before, you’ll know that we search hard to find inspirational gardens which reflect the needs of the garden build we’re about to embark on. Read on to find out a little bit more about these gardens and the designers behind them. 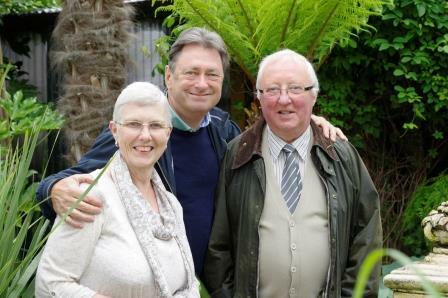 The garden shown in tonight’s show was a private garden, owned by Alan and Mary Watson. Full of tropical ferns, palm trees and lush green hostas, the garden was chosen to highlight the possibility of growing tropical plants in an English climate. Daily Mail – Our Garden – It’s a Jungle! The inspiration visited in show 2 of Love Your Garden garden for the Esticks was a garden by John Nash Associates. Chosen because it’s a traditional country garden with a contemporary feel. It has a recreational area around the swimming pool and an adventure play area for children aswell as enhanced views to the distant hills. The garden is part of a steep hill but this was seen as an asset to the design that enabled variations of levels, creating added interest. With 6 members of their family, The Chan’s needed their garden to be a place where all the family could relax, entertain and find some individual space. 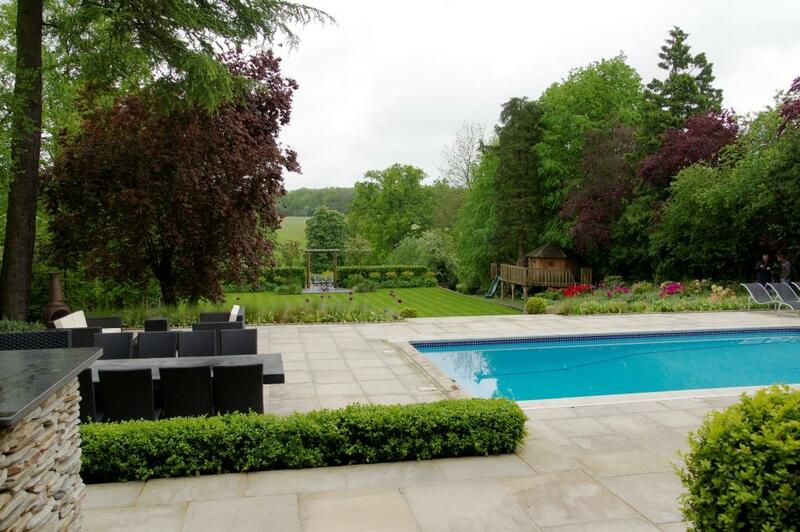 It was a smallish garden, so Alan took a look at two very different gardens, one looking at entertaining and the other at planting schemes. This fabulous garden in Horwich, near Bolton, was designed by David Andersen who specialises in contemporary garden design. In the brief, the family requested a family garden, but they also wanted to be able to entertain. The family love barbecues and eating out so a dining area was a high priority. 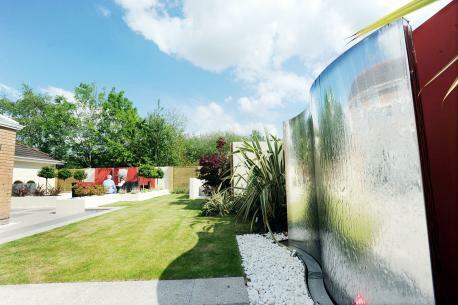 The garden also included a stunning water feature, a sun-bathing area and mood lighting to give the garden a warm atmosphere. The garden was a perfect example of how you can include all these areas in your design without making your finished garden look too fussy. 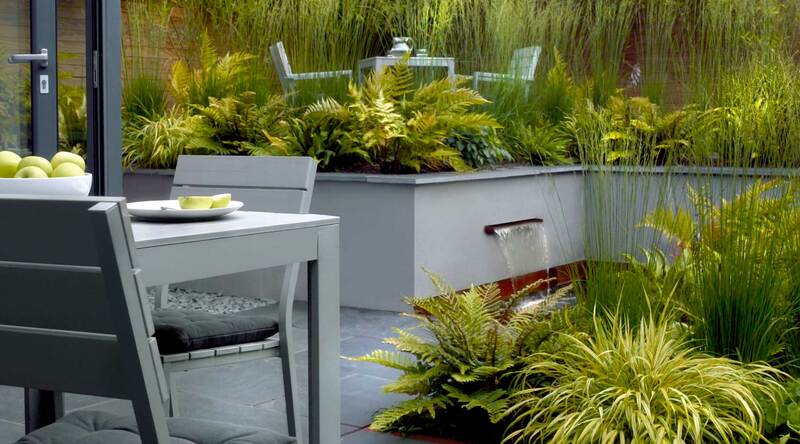 This garden In Chorley, Lancs was chosen because it reflected a masterclass in planting where you have limited space. The palate of colours used – predominantly greys and greens – blurred the boundary between house and garden and promoted a simplicity. Alan’s advice was never to choose too many different plants, but rather to limit the varieties and double up on the number of each plant chosen. For more information on Barrie Thompson, please visit his website here or follow him on Twitter.